We're all BlackBerry addicts. If we weren't, you wouldn't be reading this and there most likely wouldn't be a CrackBerry.com. Some are crazy BlackBerry abusers while others are casual users -- it's different for everyone. One such case I came across in the forums is that of an interview with ESPN's Adam Schefter. In the interview he chats about his job as ESPNs NFL Insider and his insane use of his BlackBerry (just what device we're not sure). Perhaps the best line in the interview is when Schefter says "My Blackberry is more important to me than some of my bodily organs". A pretty bold statement ... but you know what? We can totally agree. Schefter talks on his texting, emailing and calling and how his BlackBerry is the most important part of his job. Keep reading for the full interview. 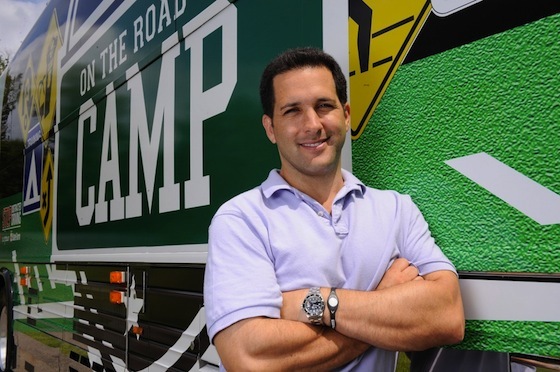 ESPN NFL Insider Adam Schefter is well-known for his first-class reporting and inside information. The key to all of his work is a small but handy cell phone. He works day and night and around the country through his phone. "I told the lady in charge of cell phones that I needed unlimited texts and calls. I emphasized that I need that, and she said she would take care of it. "Well, she didn't take care of it. And my first month's cell phone bill turned out to be for about $6,114. "Needless to say the next month I had unlimited texts and phone calls." Front Row had the chance to sit down with Schefter and discuss the key to his knowledge. FR: How would you describe the importance of your phone? AS: My Blackberry is more important to me than some of my bodily organs. For my job my Blackberry is vital. Everyone has something that is vital for their job, and for me it happens to be my Blackberry. My phone is always by my side. FR: Since your phone is so important to you and vital for your job, would you say you're doing something on your phone most of the day? AS: Look right here: I'm eating dinner and as I talk to you, it's in my hand. FR: How many calls, texts and emails do you go through a day? AS: Overall it depends on the day. During the height of free agency and around the draft, texting is non-stop. Couple hundred emails for sure. Calls are different because there isn't that much phone call contact anymore. I just try and make five or six meaningful telephone calls a day. FR: Do you have a speed dial or a most contacted list? AS: No, I don't have a most contacted list. I use almost all of my contacts, some more than others, but no one stands out. General Managers, coaches, scouts and agents are the ones I'm in contact with the most. FR: What is the background picture of your phone? AS: A picture of my wife and kids - as it should be. FR: Speaking of your family, how do they feel about you and your phone? AS: They understand it because it's part of my job. I try to be sensitive to my family. I try to be fair. It's always with me, but I try to make an effort when I'm home to concentrate on them. Sometimes I'm successful, sometimes not. FR: Is your phone on when you're sleeping? AS: The phone is always on. It's the first thing I look at when I wake up and the last thing I look at before I go to bed. The worst is waking up in the morning with an inordinate amount of messages because that means people are trying to reach me, which usually means something big happened. It's only happened a few times, when I've slept through breaking news. The last time was when the [New York] Jets traded for Santonio Holmes. It was a Sunday night and I fell asleep right before 11 p.m. because I was so wiped out from the first week of free agency, working nonstop. When I woke up at 4 a.m., I saw a flurry of messages around 11:19 p.m - and I knew that wasn't a good sign. So I just missed the story by 19 minutes. Bummed me out. FR: Who contacts you the most? AS: It changes a lot depending on what's going on in the league. I'd say the two constants are Seth Markman, Senior Coordinating Producer for all NFL Studio Production, or my wife. But there are a few coaches who I speak with a lot. FR: How would you describe your relationship with your phone? AS: It's great for my job just like it's great for everyone's job. I'm not any different, but I have a love/hate relationship with it. It's an incredible device, but it actually reduces the amount of contact you have with people. I deal with everyone through my Blackberry. It's just different than it used to be. [Blackberry phones] today are highly productive, but way more impersonal.